Do you have a problem of memorizing exercises in your workout routine? Here are a few hacks to help you remember! Hack #1: Come up with you own name for each of the exercises, so you can remember how to perform them. and so on. Be creative! Name your exercises! 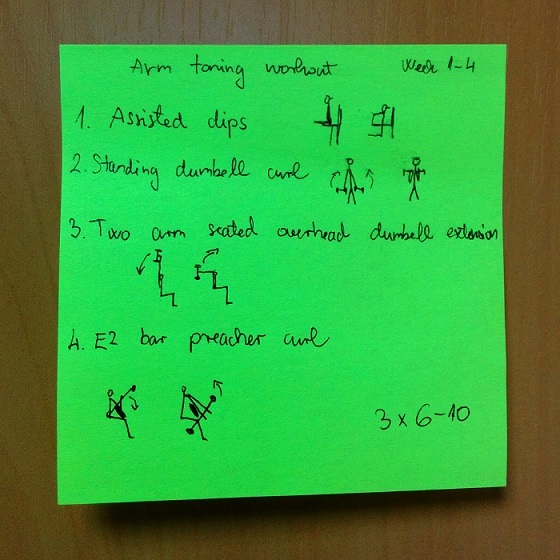 Hack #2: Draw the exercises with stick figures on a pretty colored paper and take it with you to the gym. 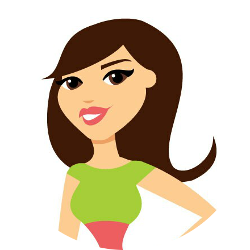 It’s pretty, cute and highly helpful in remembering the exercises! Hack #3: Keep a video or a picture of the exercise on your phone. So you can look at it if you don’t know how the exercise is performed.